A range of outerwear is presented within the capsule collection. Belstaff’s iconic four-pocket Roadmaster BXS jacket is given a new look in camo print in Deep Electric Blue or Lava Red. The poly/nylon lightweight fabric is water repellent and windproof. The silhouette has been streamlined for a more modern fit. The camo print used throughout the collection is a British woodland camouflage, inspired by the extensive Belstaff Archive. The Roadmaster has the signature SOPHNET. cardholder pocket detail on the sleeve, antique brass hardware and belt. The Kersbrook BXS parka introduces a new silhouette to the capsule, with applied colour blocking, available in structured nylon or denim. 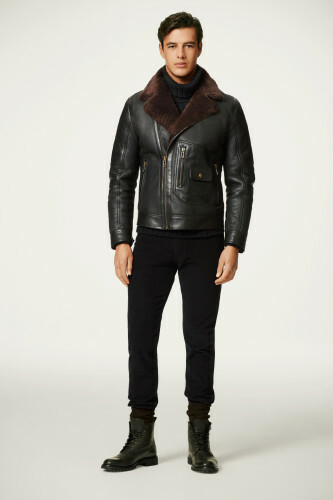 This silhouette is taken from Belstaff Archive, from the 1970s Chris Bonnington Collection. The world renowned Mountaineer collaborated with Belstaff to launch this hooded parka style with circle logo, which still looks new today. Available in Denim, Black or Navy Nylon, with camo lining and signature sleeve pocket.